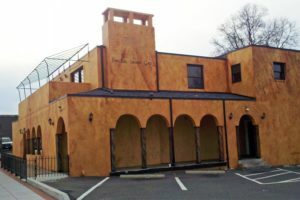 (Updated at 3:05 p.m.) Emotions escalated at yesterday’s County Board meeting when the topic turned to issuing a live entertainment permit for Pines of Italy (3111 Columbia Pike). County staff researching the permit request had recommended the issue be deferred until the board’s September 15 meeting. That recommendation — which was approved by a unanimous vote of the Board — is supposed to give the owner time to convince the community there would not be violence or disruptive incidents like those that previously occurred on the property. Police and neighbors have expressed opposition to approving the permit. Seven residents who live nearby showed up at the meeting to enumerate the reasons they oppose the permit. In addition to the noise, loitering and public drunkenness that all reported witnessing, a major concern is safety. Nearly all of the speakers had reported calling the police after witnessing brutal fights between club goers, some of which spill into the neighborhood. It was noted that the establishment is at the end of a residential street and has a significant impact on people’s lives. Like other speakers, Pasion stated she didn’t mind the restaurant or hookah bar inside the building, but a club is too disruptive and dangerous. Part of the controversy is the involvement of Jorge Escobar, who is currently named as the landlord. He has been involved with the property in various capacities for more than a decade, sometimes as a manager of the club. Escobar’s attorney testified at the meeting and promised the board that the three partners of this establishment are interested in starting anew. He expressed Escobar’s interest in working with people living in the neighborhood. However, residents claim attempts to work with him before have been unfruitful. Questions were raised over whether Escobar’s involvement would perpetuate some of the previous issues. It was noted that he previously held an entertainment permit for a night club on the property, but it was revoked in 2002 due to police and fire code issues. Several board members said they were confused about the establishment and how it’s divided into a restaurant, hookah bar and nightclub. 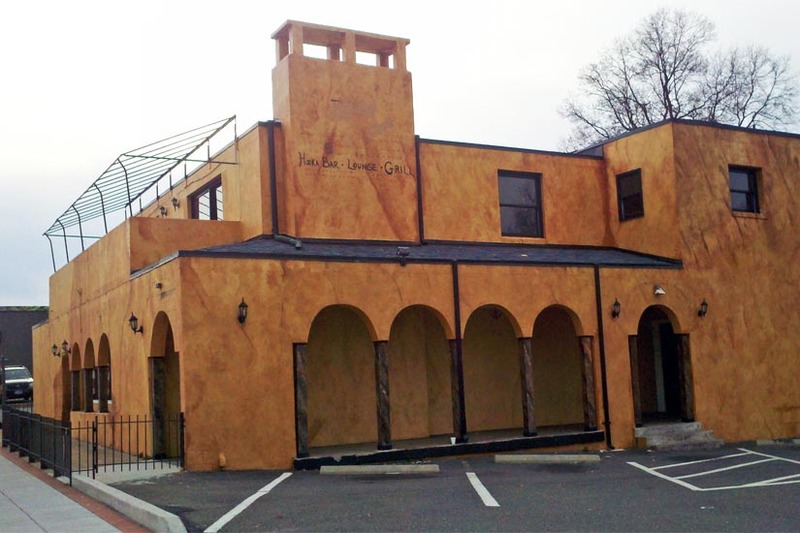 Repeatedly, clarification was requested on how each of the three partners is involved in the business, and why the Pines of Italy restaurant was listed as the permit holder instead of the night club. Escobar’s attorney said each partner has a responsibility for one of the operations. He said Escobar had looked to hire someone to take care of the entertainment portion. He also said the night club is essential for the establishment to make enough money to stay open, and the partners would do what is necessary to appease the community. Residents report not experiencing major disturbances since December, when the previous night club shut down. However, there’s doubt about whether new managers would be able to adequately control a club in a location with such a history of trouble. Board Member Chris Zimmerman echoed the sentiment, saying the proximity of this commercial building to a residential area is one of the closest the board has encountered. Zimmerman added that Escobar’s attorney didn’t present enough of a convincing case that efforts would be made to change, or that partners had worked to resolve issues with neighbors. Before voting on the issue, Board Member Jay Fisette summed up the reasoning for deferring — lack of confidence that the same problems previously plaguing the property wouldn’t resurface.